Warner Bros. UK. are pleased to share the first official poster for Christopher Nolan's epic action thriller, 'DUNKIRK', which arrives in cinemas July 21st 2017. 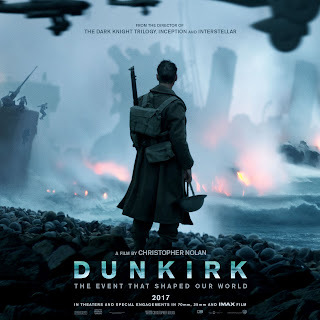 "Dunkirk” features a prestigious cast, including Tom Hardy (“The Revenant,” “Mad Max: Fury Road,” “Inception”), Mark Rylance (“Bridge of Spies,” “Wolf Hall”), Kenneth Branagh (“My Week with Marilyn,” “Hamlet,” “Henry V”) and Cillian Murphy (“Inception,” “The Dark Knight” Trilogy), as well as newcomer Fionn Whitehead. The ensemble cast also includes Harry Styles (One Direction) making his feature film debut.